You built an app, but you have no clue about getting people to download and install it? In this article, we’ll discuss 27 app marketing strategies that help you get more app installs. Most of the marketing strategies we’ll discuss are free, and you can set them up in a few hours. We’ll specifically focus on marketing campaigns that will bring in more app installs, and more revenue. We’ll touch on many “traditional” app marketing methods, such as App Store Optimization and paid advertising. This article also includes powerful marketing ideas that you might not have thought of, such as building systems for excellent customer support, or simpel steps to improve your app’s UI/UX. This article is suited for both beginner and experienced app developers. You can use these marketing strategies regardless of whether your app is already published in the App Store. Let’s get started! This should be no. -1 on your checklist: start marketing your app before you launch your app. Many app developers “forget” to do marketing and start promoting their app only when it’s published in the App Store. Even if you planned to only use paid ads, with Facebook or Search Ads for example, you’d still need the insights from more traditional app marketing. You can’t just “turn the spigot on” and hope for the best. Marketing your app while you’re building it helps you create synergy between the problem your app solves, and how you’re telling people about this solution. Helping people with this transition is crucial to a good marketing campaign. Looking for a high-level overview of the app development workflow? Check out How To Make An App (In 9 Steps). Let’s talk about virality. Building an app that goes viral sounds compelling, but is it really possible to do that deliberately? A viral app “infects” more and more people as it spreads. When every user shares the app with a few other people, and they share it with their friends, and they share it with their friends, the rate at which your app spreads grows exponentially. It’s the perfect app marketing strategy! Create an app that gets better when more people use it. This is called the network effect. One fax machine isn’t useful, but a hundred connected fax machines is something worth talking about. What does that look like, for your app? Build a way to spread into your app. Gmail, the email service from Google, gained popularity because it was a product people wanted. It also grew quickly because users could invite a limited number of friends onto the platform. When every user invites 5 others, you’ve found a way to grow. What it comes down to, is building an app worth sharing. That doesn’t mean you should simply build a great app, because we’ve come to expect apps of great quality. What it means is building something that’s worth remarking upon, for the right kind of person. Sign up for our iOS development course Zero to App Store and learn proven techniques to generate revenue by publishing your apps in the App Store. If you’re building software and you haven’t read Steve Krug’s Don’t Make Me Think – stop right now, and read the book! User experience testing is one of those aspects of UI/UX design that’s hugely undervalued. Why go over a user interface (UI) you painstakingly planned, designed and developed? Well… there’s a chance users and customers of your app don’t “get” a particular feature or UI of your app. Users can use your app differently than you expect or intended, and get stuck, or worse, frustrated. And that’s OK, if you test your app and find mistakes with a user experience test. This is a hugely undervalued app marketing strategy. UX testing results in a wealth of information, both from a design and marketing perspective. You learn what features matter to users, and how you can more effectively help them discover the best features of your app. UX testing also helps you find and solve friction in your app’s conversion funnel. How do you set up a successful user experience test? First, remind yourself that a successful experiment is one that provides meaningful data, and it isn’t a test to prove your app doesn’t have “mistakes.” In experimenting, there are no mistakes. Make a list of actions you want your test participants to take. Be directive, but not too specific. A good example is “Create a new to-do item”, but don’t tell them: “Create a new to-do by tapping on the top-left button, then fill in the form, then tap Submit.” That’s too specific! You want to test the usability of your app. Users are supposed to find out on their own how to use your app. Set up a camera and microphone in your testing environment, so you can record participants while they’re using your app. You can use screen recording software to capture the smartphones screen, too. Always tell test participants they’re being recorded. It’s a good practice to not be in the room while the participant is completing the test. Invite a few testers to perform the tasks. Record what they’re doing in the app, and what they say. It’s a great idea to ask participants to narrate their actions, and speak their thoughts out loud. This gives you an insight in the mental reasoning that takes place as they’re using the app. Once the testing is done, go over the results. Watch the recordings and take note of things that stand out. Consolidate that into two lists: no-brainers and low-hanging fruit. The low-hanging fruit are changes that are easy to implement, and have a high impact on the app’s usability. Fixing them isn’t crucial, but it makes the app experience so much nicer. Based on your user experience tests you can now improve your app. You might wonder why UI/UX testing is part of app marketing. App marketing is about making change happen, and about helping people from A to B. You have a solution for a problem that a lot of people have. Making sure your app experience is as smooth as possible goes a long way in earning your customer’s trust and loyalty. The App Store is global, but that doesn’t mean you should focus your app marketing efforts exclusively on a global audience. It might just be more cost-effective to reach a local audience. As an app publisher you have limited resources. Focusing on an audience that’s too broad spreads your message too thin. You can reach a laser-focused audience with Facebook Ads, for sure, but what about reaching an audience that’s more local to you? Consider reaching out to a local news agency, radio show, meetup or organization that can help spread your message. In an environment where app marketers are prone to grab the megaphone and blast a scatter-shot across social media, you may have better luck getting coverage in a local, focused publication. Be more like the “town crazy person.” Get in touch with your local newspaper and tell them about your app. Build a genuine connection, and care about helping people in your local community. It may just land you more eyeballs, an interview, or engagement from the people you seek to serve. Reach, exposure and real-world engagement is all you need right now. Especially when you’ve just started out, it doesn’t matter much if your reach is local or global. Let’s go local for a second, instead of focusing on your next worldwide marketing campaign. In app marketing and advertising, A/B testing, or “multivariate testing” as it’s called, is the practice of testing two or more versions of a particular change and seeing which of the two results in a better outcome. The disadvantage of A/B testing is that you often need more than 1.000 conversions to reach statistical significance with your tests. If you have less app installs than that, there’s often no telling if the increase in results was random or deliberate. Which 20 test can I not do, and still get their results about 80% right? Your App Store screenshots need 3-5 word captions that explain the main benefits of your app to a potential customer. Your app’s description text works best if you write it in the format of: blurbs and awards, main benefit, user testimonials, call to action, longer explanation text, another call to action. Your app’s icon should be memorable, high in contrast, and similar to the current trend (i.e. flat design). Use illustrative or vector graphics. Don’t use pastel colors, but work with contrasting primary palettes like blue-red, green-yellow and black-white. You can also approach A/B testing by performing an experiment with a medium that’s similar to the App Store. Try out your app’s headlines and benefits with a Facebook Ad. Work with 3 variations, and measure which one performs best. Use the winning headline on your App Store page. Look up any A/B test results you can find, focused on app marketing. Use ideas that have worked for others, and don’t do your own tests yet. Many app developers share what worked for them, and what didn’t work, and you can use those insights in your own marketing strategies. Which would you rather have? A global marketing presence, and an app that appeals to everyone, or a small, loyal group of users in a viable niche? Chances are that you’ll opt for the former, because that’ll simply mean that your app gets installed by more people. Right? Wrong! Building an app that appeals to everyone, appeals to no one. It’s a compelling idea, however, because we want to reach as much people with our app as possible. So, we think, let’s focus on everyone, and we’ll surely reach someone. This is a big marketing mistake. It’s easier to reach a small, focused group of people. You know exactly what they want and what kind of app they’re looking for. You can tailor the in-app experience 100% to their needs and wants. And you can do marketing specifically for these people. This principle is known as the smallest viable audience. It’s the smallest audience that can support your work – i.e., viable – in such a way that it’s worthwhile to continue doing business with them. Instead of trying to shout the loudest in a world of noise, you whisper and talk in such a way that some people, but not all people, understand what you’re saying. What’s magical about the smallest viable audience, is that the word spreads from that niche to other audiences. You have far more leverage in a small group, and this asymmetry helps you to spread the word to increasingly bigger audiences. It’s also a practice of testing out what works in the small, before scaling it up with a larger marketing campaign. You can far easier reach a group of 10, 20 or a hundred dedicated app users, and delight them with your app, than you can please a 100.000 anonymous users. And when what you do works, you’ll have a fighting chance to reach more people. It doesn’t work the other way around. Register your app’s social media accounts as early as possible. Social media marketing is a great way to get in touch with potential customers of your app. Consider where your app’s users hang out, and register accounts on Twitter, Facebook, YouTube, Instagram, etcetera. You could also “reserve” your app’s name in the App Store, by creating a new entry in App Store Connect, without uploading an app binary yet. We’ll discuss building your app’s landing page later on, but you might want to register a good domain name for your app already. It’s important to pick an app name that’s not been taken yet, so you can register a good domain name for it. Chances are that the .com is gone, so you might want to look into the popular .co, .io or .app domain names too. You can also modify your app’s domain name slightly, by putting “get” in front of it or “app” after. Why be quick to register accounts? Favorable account names are usually in short supply! And it’s a great way to start engaging with potential app users. Keep in mind that it’s usually against a service’s terms of service to “hoard” usernames, so make sure you only register for an account you’re actually going to use in the short term. As the Cost Per Install (CPI) rises, advertising becomes a costly marketing strategy – especially if you can’t afford to pay $2 per app install. Content marketing is a good alternative. With it, you reach your audience by providing valuable content, in the form of articles, guides, how-to’s, videos, etcetera. Instead of purchasing ad space, you gain exposure by attracting the right kind of people to your content. Content marketing is a slow but powerful marketing strategy. With advertising, you you just turn on the “spigot” and app installs start flowing. With content marketing, you’ll need to create content and help people discover it. Content provides value, value builds trust, and trust builds loyalty. With an ad you have less than a second to make an impression on a smartphone user, whereas with content you have minutes, perhaps even hours, to build a relationship with your audience. If they like what you share, they might stick around for more. A great way to get started with content marketing is to provide value to the app users you already have. What are challenges they face in their work or life? What are their dreams, hopes, fears and desires? Explore the problem in a how-to article or video, and give insight into helpful solutions. Another approach is creating curated content around the theme of your app. Instead of writing content directly, you can select and organize content your audience might be interested in. This content becomes a way to connect with you and your app. It’s a touch point that might lead to someone trying out your app, and becoming a customer. Think of content marketing as giving something without expecting anything in return. It’s a type of brand marketing that isn’t easily measurable, and there’s no reliable way of determining the Return On Investment (ROI) of content marketing. What’s stands out, however, is the connection you can make with people. That’s something you simply can’t do with an ad on Facebook, or at least not beyond that first impression. Push notifications are great way to increase a user’s engagement with your app. This marketing strategy works best if you already have a decent amount of app users. If you don’t yet have a way to send push notifications to your app’s users, consider building it into your app’s next update. The great challenge with push notifications isn’t building it, but building it in such a way that it provides wanted, timely and insightful information. You’re not pushing your marketing message onto a user, but providing information on their behalf. Spamming an app user with push notifications is a great way to get kicked off a user’s device for good. Advertising through push notifications isn’t allowed per Apple’s App Review Guidelines, and with good reason. You want to avoid not meeting a user’s expectations at all costs. The most obvious uses for notifications involve connectivity. A new chat message has come in, new in-app information is available, or a timer has gone off. 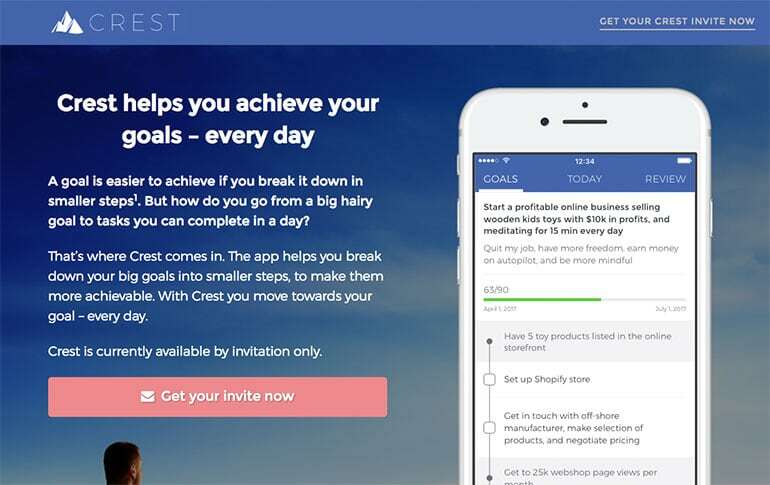 Another approach is using notifications to build habit-forming products. Notifications can be used to trigger actions, such as opening your app. The hooked framework, defined as “Trigger → Action → Reward → Investment”, kicks off a cycle of reinforcing positive, ethical behavior. Smartphone users get dozens of notifications a day, so it may be challenging to stand out from the crowd and get noticed. A common recommendation is to give users a clear preferences UI, that they can use to determine when they want to get push notifications from your app, and based on what interactions. Curated content is a great way for people to discover new tools and products. A person we know and trust – the curator – filters content based on their preferences, and we check out that content, assuming it’s what we like too. You can find an abundance of curated content platforms and websites online. One of the best known platforms for curated content is Product Hunt, a community where new products can be discovered and shared. When a product is “hunted”, it rises to the top of a category as it gets more upvotes from users. Another curated content website is AppAdvice. It relies on app reviews from editors and contributors, in which apps are rated, reviewed and tracked in so-called Top Lists per week, month and year. Curated content platforms are a great way to market your app to a specific target audience. Different kinds of people are attracted to different kinds of platforms, so when you can find a platform that serves your particular app niche, you’ve found a way to promote your app for this audience. Assume that these platforms get dozens of emails a day, asking for a favor, for attention, or outright spamming the editors with self-promotion. Your app will get lost in this noise. Most of these platforms serve a specific target audience of their own. It’s worthwhile to figure out what that audience likes, and then find a platform that fits your target audience. You may only find 2 or 3 platforms with a vibe that matches your app – and that’s exactly what you need. See if you can build a genuine connection with these platforms, by providing value, and you might get a chance to promote your own app. Apple’s App Store monopoly has a few advantages, such as app quality, distribution and simple purchase management with In-App Purchases, but those only benefit apps that already have an existing relationship with a customer. If you’re starting from zero, the App Store has a huge barrier to entry for building an app business. The obvious solution to this problem is building a relationship with your users without the App Store. Your App Store page isn’t the central point in your app marketing efforts, but something else is: your app landing page. We’ll discuss building your app landing page later in this article. For now, assume you have a website that gets traffic through content marketing. In every blog post you put a so-called opt-in form that asks for a user’s email address in return for something valuable, like a mini course or PDF download. This PDF gives the user information about a problem they’d like to solve. With a user’s permission, you can continue to provide them information, insights or entertainment by email, and build a relationship with them. At that point you can also send an app onboarding campaign via email. With the onboarding campaign – literally getting the user on board – you can provide information about your app, educate the user about the benefits of using your app, and provide FAQs and support to help the user make the most of your app. Spreading this information out over time, and communicating directly with a user via email, increases your chances of building a trusted, authentic and wanted relationship with the people you seek to serve with your app. Instead of the 1 second you get to make an impression in the App Store, you now have the chance to nurture a lead over a longer period of time. The App Store is a great channel to help people discover your app, and to promote it directly with features, ASO and Search Ads. Your website, however, is a channel you control. It’s recommended to use your app landing page and website as a central place, that you build marketing campaigns on top of. If you want to improve your app marketing, you’ll have to measure it first. You can gain insight from the data, and plan your marketing strategies accordingly. App analytics serve as the foundation of App Store Optimization (ASO), conversion rate optimization (CRO), advertising, among others, and it’s a staple in any marketing campaign. It’s smart to use an automated tool to collect and process analytics data. Popular tools include Google Analytics, Mixpanel, Localytics, Flurry, Firebase, and Apple’s own tool, App Analytics. Other helpful analytics include App Not Responsive (ANR) logs, and app crashes. You can usually find out a great deal about your user’s devices, including iPhone models and iOS versions, as well as information about languages and locales. Adding an analytics tool to your app is a trivial task. Usually, it’s as simple as including a framework and adding one line of code. It’s also recommended to tag different UIs in your app, so you can collect behavior data too. It’s a smart idea to build an app landing page, next to your App Store page. This helps you attract users from outside the App Store, without the App Store. A landing page can also serve as the foundation of your app marketing campaigns. It’s a website you can lead people to, to learn more about your app, and how to make the most out of it. Don’t just rely on your App Store page to get app installs! With many page building tools, such as LeadPages, Unbounce and Strikingly, you can create well-converting landing pages based on templates. If you’d want more control over your website with a CMS, using WordPress and a premium theme such as Divi or Theme X is recommended. Write blog posts around the theme of your app. This is a great way to do content marketing, to provide value, and to build a connection with web visitors. And it helps your website to come alive. Social proof is important for apps. Put user testimonials on your landing page, and consider creating showcases that tell a story about your app from the perspective of your app’s users. Stories are the basis of brand marketing, so it’s a great idea to tell your story on your landing page. How did you get started? Why you? What makes this app worth building, for you, the company, the founders? Building an app landing page is crucial to the marketing success of your app. It’s an opportunity to reach your target audience in a different way, and it helps you build an online asset you have 100% control over. Attribution in marketing simply means knowing where that app install came from. Websites, Google, social media, your ad campaign – they all bring in new leads, new potential customers for your app. You need to know where a lead came from, to assess the profitability of each of your marketing channels. When you know your most profitable app marketing channels, you can decide to double-down on them, or you can fix “leaky” channels. When you share a link to your website, make sure to add so-called UTM tags to the URL. These tags then show up in Google Analytics. Use the Platform ID and Campaign ID parameters in App Store Connect, so you can see in aggregate where your App Store page traffic comes from. If you use Facebook Ads, make sure to track conversions in your app by setting up the Facebook SDK, and use the IDFA tracking identifier. Use attribution reporting to collect and analyze data on attribution and attribution models, so you can effectively identify the channels that bring in the most (or the least) customers. The disadvantage of these methods is that you can’t attribute app installs 1-on-1, only per source or per campaign. There’s a solution for that, and it’s called app deeplinking. In short, a deep link connects a URL with an identifier to a user session in your app. The way this works, is that the deep link is an ordinary web link. It leads to a web page, that web page sets a marker, and redirects the user to the app (or to the App Store). The marker is read from within the app, and the “link” is made complete. You now know where an in-app user came from. Attribution is a great approach to find out which of your marketing campaigns is the most effective, and it’s also a good way to show app users relevant, personalized content in your app. Instead of just screenshots, consider adding an app preview video to your App Store page. It’s a great marketing strategy to engage users browsing the App Store, and help them learn more about your app. Although an app preview video is intended for your App Store page, you can just as easily show it on your landing page, in a Facebook ad, or on YouTube. An app preview video is different than a sales page, such as your App Store page or app landing page. You’re essentially guiding the user through an experience in the app, while showing them the benefits of using the app. It’s important to provide a reason to continue to watch during the first 5 to 10 seconds of the video. This first impression is called a “hook”. You can lead with a problem, your solution to that problem, or one of the main benefits of your app. The purpose of the video is to demonstrate the features, functionality and user interface of your app. It’s easiest to do this by actually showing your app’s UI while being used. You can also use transitions, overlays, simple graphics, captions, voice-over and audio to capture your app’s experience. Keep in mind that Apple adheres to strict guidelines, also about your app preview video and your App Store page. You can read what these rules exactly are in the App Store Review Guidelines. It’s incredibly easy to build a simple app preview video. Just record a user session of your app with a tool like Quicktime or iMovie. Create transitions between scenes, add captions to the video, add background music and a voice-over, and you’re done. Apple has a few surprisingly helpful guides and resources for app publishers, at developer.apple.com. You can read about app marketing, publishing, business models, insights from developers, and tips about launching your next app. Advertising is a great marketing strategy to increase the reach of your app. You effectively rent ad space, from Facebook for example, to display your ad to a targeted group of people. When someone is interested in what you have to offer, they click through and potentially install your app. App Install Ads. This type of ad lets users directly install your app from the ad platform, so there’s no need to click-through twice. Lead Ads. This type of ad asks users to provide lead information, such as their email address. It’s perfect for email onboarding. IAP Install Ads. This type of ad links directly to an In-App Purchase page in your app (with deeplinking). It’s great for converting app users to paid customers. You can also use content-based ads with any kind of ad campaign. You lead a user to a piece of content on your website, instead of directly to your app. This strategy works well to filter a cold, broad audience in a warm, narrow group of interested prospects. Apple has its own Search Ads platform, which lets you show a banner-like ad on top of App Store search results for given keywords. Placement is based on an auction, and you can set your own bids or Cost Per Install. User acquisition with Search Ads is typically cheaper than other platforms, like Facebook. Design a relevant ad creative. Think about your messaging, call-to-action and imagery. 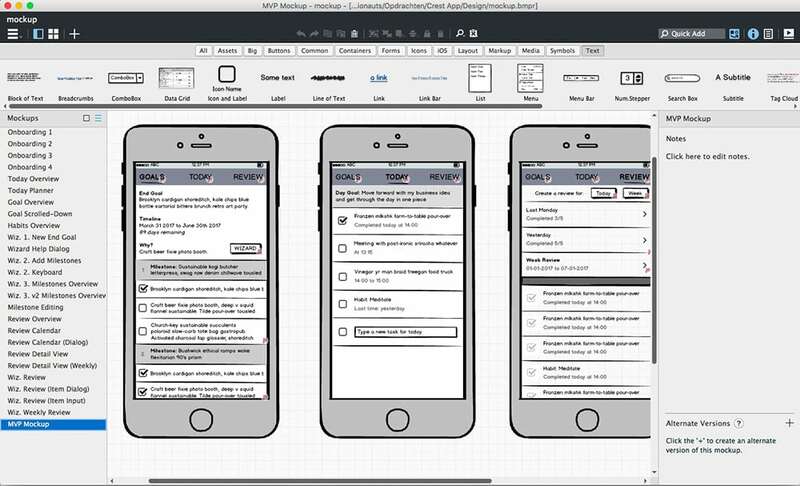 Design a creative that’s relevant and clearly communicates the benefits of using your app. Target a narrow, specific group. Most platforms allow you to specify who sees your app. This is an opportunity to reach the right kind of person, on the right kind of platform, with a relevant message. Calculate your CPI and ROI. The Cost Per Install your app can afford depends on the Lifetime Value of your users. Make sure you run the numbers, so you’re setting up an ROI positive ad. Running ads is a game based on quantity. The more you show your ad, the more users you get. The “holy grail” of advertising is an ad campaign that scales. For every dollar you spend on ads, you make $2 at the backend, when the user signs up for a paid subscription or purchases an In-App Purchase. If users aren’t consistently bringing in revenue, consider to not use paid advertising. You want to make sure your ads bring in revenue, and if your users don’t, you’re likely to lose money on ads. Focus on your business model and in-app conversions first. Having said that, you can spend a few hundred dollars on acquiring your first app users and customers. Even though you might not make back your investment, what you gain is insights about your marketing strategies. The first step in App Store Optimization is making sure your App Store page is optimized, to ensure that the people you drive to that page actually install your app. You do this by improving your app’s meta data, such as its description, app preview video, and app screenshots. The second step is optimizing your app’s search keywords. This is a continual process of finding keywords, ranking for those keywords in App Store search, getting traffic because you rank well, stepping up to more competitive keywords, getting more traffic from those keywords, until you’ve reached the no. 1 search position for a few high-volume keywords. A common mistake in App Store Optimization is – oddly enough – building an app no one wants, and trying to rank it better with ASO. A big driver for search rankings are app downloads and ratings, so it’s really hard to make a poor app rank well. That’s why it’s easier to rank an app that has a little traction, because you can leverage that traction to get more installs and app reviews. Don’t start App Store Optimization if you haven’t talked personally to a 100 of your app’s users. Listen to their feedback, make sure the app fits their needs and wants perfectly, and make your UI/UX smoother than silk. Only then it makes sense to start making moves with ASO. Is it true that good products don’t need marketing? Let’s find out! Nobody likes an app that crashes. We’ve discussed tracking ANRs with analytics tools, but what about catching bugs before they make it into production? It’s a great app marketing strategy to avoid negative, 1-star reviews! Quality Assurance is a part of a mature, high quality development workflow. You can test your apps with automated tools and scripting, or you can work with a team of dedicated testers. When you do this, you can squash bugs before an app update is pushed live. With a solo or small team, it may just be enough to put systems in place to test the app. Write down the exact UIs, actions and steps that need to be tested before every release, and test all of them when you update your app. You can use automated tools too, that “tap through” the app, and email you a report when something unexpected pops up. Xcode has a simple framework for UI tests built in, as well as advanced unit testing and profiling tools. Murphy’s Law states that at least one bug will make it to production. When that happens, it’s a good idea to put communication channels in place so you can respond quickly to a frustrated user and hear about the bug as soon as possible. Users that had a negative experience in an app are more likely to leave a review in the App Store, so it’s important you shortcircuit that process by giving users access to support, feedback and FAQs in your app. What it comes down to, is harnessing the power of technology and automation to create a process that produces excellent, flawless apps 99.9% of the time. In the 0.1% of cases where something does go wrong, you can spare the manpower to respond directly to app users to alleviate the situation. Keywords are important for App Store Optimization (ASO). And it’s equally important to update your keywords regularly, and try to optimize your app’s ranking in App Store search. This should be a staple in your app marketing efforts. 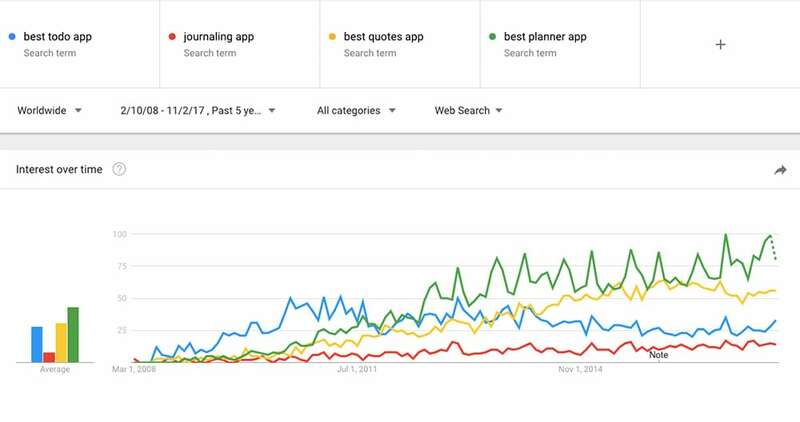 You can use tools like AppAnnie, AppTweak and SimpleASO to get insights into your app’s keywords, and those of your competitors. If you’re just getting started with ASO, find the keywords that your app currently ranks for in App Store search. Do those keywords match your app, or do you need to find better keywords? Spy on competitor apps and find out what keywords work work for them. Can you rank for the same keywords, or use those keywords to improve your App Store page copywriting? See if you can find out if the words you use to describe your app match the words user’s use to search for your app. A “sleep meditation” app might be found easiest with the “fall asleep” phrase, for example. In App Store Optimization, the right keywords are the ones you can rank for in positions 1 to 10, given different ranking factors, such as app rating and reviews, app downloads, conversion rate, and more. A common ASO strategy is “jumping” from one keyword to a more competitive, higher volume keyword. You use the momentum from a low-competition keyword to get app installs, and you leverage those installs (with reviews and conversions) to get into higher competition keywords. Especially at the start of your app marketing efforts, it makes sense to diversify your approach. 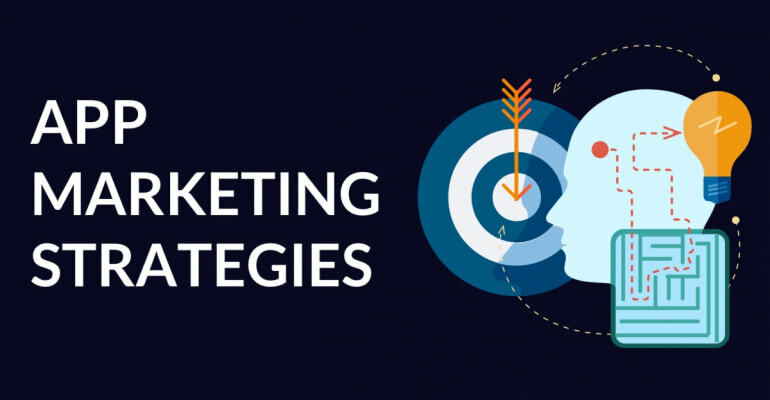 It’s hard to get into high competition keywords, so you’ll want to supplement that with other marketing strategies like content, social and advertising. When building something new, like an app, it’s tempting to also build your audience and connections entirely from scratch. But why should you? It’s far more effective to leverage connections and influence you already have. Most app marketing strategies need a little kickstart to get going. App Store Optimization doesn’t work if you have zero downloads. Content marketing doesn’t work well if you have zero readers. Social media doesn’t work when no one shares your work. It’s important to point out here that persistence is important. Learn to dance even when no one is looking, otherwise you’ll never steal the show once you’re in the spotlight. Building a business shouldn’t be a struggle, and your work shouldn’t stay hidden forever, but don’t refrain from building something worthwhile just because no one is interested in it yet. Ask your family and friends to download and rate your app. Reach out and follow up, and you’ll have 20+ 5-star ratings in no time. Make sure those ratings coincide with your ASO efforts, to leverage the momentum. Check your social media followers, LinkedIn connections, Facebook friends, contacts list, and so on. Is there anyone in your network that can help you move forward? Reach out to them and tell them what you’re working on. These are just examples, but you can surely find more if you think along the lines of: People close to me want to help me succeed, if they can. If not, it’s a great way to catch up with old friends and colleagues. Whatever you do, don’t send out a generic blast broadcast. Don’t reach out to people at scale. You’re likely to offend someone, get lost in the noise, and it’s far more effective to reach out to people individually. Go first, and go out of your way to reach someone, to help, to provide value, and sometimes, opportunity finds its way back to you. What about an app launch party, with a prize for the person that referred the most people to your new app? App ratings affect your app’s ranking in Search, but they’re also important for another reason: more than 60% of users check out an app’s rating before installing the app. And users are more likely to write a review after a negative experience in the app. Now that you know ratings are important, how do you provide good customer service? Make sure to respond to App Store reviews. You can do this in App Store Connect. Thank users for taking the time to leave a review. If a review is negative, clearly address the issues outlined in the review. You can also refer a user to an FAQ or ask them to get in touch with support by email. Add a way for users to leave feedback in your app. This can be a message center, a feedback form, or a way to get in touch with support. Keep in mind that most users will use the path of least resistance, so mentioning your support email address is likely not enough. Use the SKStoreReviewController API to prompt users to rate your app. You can do this 3 times in 365 days, so be careful about when to ask for a review. It’s recommended you do this when a user has had a chance to try out your app. Another great time is when the user has had a positive experience in your app, i.e. after winning a game or completing a task. It’s a good idea to notify users of an in-app support chat or feedback form, so they’ll know how to get in touch with you before they run into issues. You can do this with in-app onboarding, or an email onboarding campaign. The term “1000 true fans” comes from an essay by Kevin Kelly, the founding executive editor of Wired magazine. In the essay he states that as an artist, producer, designer or author you only need 1.000 true fans to make a living. This is just as true for app developers, as it is for artists. Building an app is a creative endeavour. A common adage in marketing is that you shouldn’t find people for your products, but products for your people. Your 1.000 true fans can help with that. Can you build something that delights them? How can 1.000 fans support you? Say the amount of revenue an app user generates in a year is around $15. Some of your users are subscribed to a $2/month In-App Purchase, and others get the $19/year deal. These numbers are modest – some successful apps generate much more revenue, from many more users. You’ve proven that you can consistently find 1.000 loyal users, so you can find more. Even if 1.000 fans is not enough to support your work, aiming to serve these 1.000 people the best you can, is a great way to build a profitable business. Facebook ads, and targeted ads in general, are a great way to reach people with relevant, timely marketing. With an ad campaign on Facebook you can show hyperfocused ads to people, based on a great number of demographic and psychographic attributes. A disadvantage of targeted ads is that you have to come up with targeting parameters on your own. When you’re just starting out with ads, how are you supposed to know who your ads can best be shown to? You install a so-called pixel in your app. This pixel activates when a user installs and opens your app, and matches them with their Facebook profile. Facebook keeps track of the users that have installed your app, and gives you (aggregated) insights into who they are and what they do in your app. When you start a new ad campaign, you can create a Lookalike Audience from the Custom Audience that you collected with the Facebook pixel, and show the ad to them. The Lookalike Audience is based on the people that have installed your app – they’re literally lookalikes. The idea here is that Facebook can find people with the same characteristics as the people who’ve installed your app. If you show those people an advertisement, they’re more likely to install your app compared to a “cold” unrelated audience. Other ad networks, such as Quora, AdWords and Instagram, can use the same lookalike targeting technique to help you reach the people that have the highest chance of installing your app. Even if you’re not planning to use paid advertising right now, it’s a good idea to add that Facebook pixel anyway. It’ll collect data over time, so that when you’re ready, you have a complete audience that’s ready to be used. Privacy and tracking pixels are a controversial topic, and as a marketer you’re always have to ethically balance your intent with the rights of your users. Is it OK to help someone discover an app that might make their lives better? What’s in a name? Great app names are short, memorable and convey what your app’s about. They’re strong, unique, and help users get to the core of what your app does. And it helps if your app name isn’t already taken in the App Store, and its domain name is still available. Keep in mind that your app’s name (or logo) is not a brand. A brand is much more than a name, it the complete experience with a company or product a customer has. The name is just a label, a way to associate with the brand experience. When people type your app’s name into Google, YouTube or the App Store, what will they find? If you have no chances of showing up there, consider picking a better app name. Stay away from names that are overly clever, and keep it as short as possible. Your App Store page can have a subtitle. It appears right below your app’s name in the App Store, and you can put 2-5 words in this space. It’s worthwile to consider what you want to show here, because the subtitle takes a premium spot in App Store search, your App Store page, and featured lists. A good app subtitle captures the essence of your app in a slogan. It doesn’t need to be catchy, clever – in fact, it’s better to be clear than clever. Tell prospective users in a few words why they should install your app (i.e., benefits) or what the app does (i.e., features). It’s unconfirmed whether your app’s subtitle affects App Store Optimization, i.e. if the words from the subtitle are picked up as search phrases, but it’s 100% certain that your app title is used for App Store search. If possible, incorporate your ASO keywords in your app’s name and subtitle. Even if they aren’t factored in ranking and search, it helps users identify your app by the words they use themselves. Say you named your app “Tortellini”. After a few months in the App Store you found out users search for your app using the keywords “food italian dinner recipe ideas”. It makes sense to rename your app to “Tortellini – Italian dinner recipe ideas”. Easy, right? Every country has its own App Store, even though the App Store is worldwide. You can release your app in every country, or select specific countries that your app is available to. It’s smart to start with an international language, such as English, and then choose a second most-spoken language, like Mandarin Chinese or Spanish. You can also add a translation for your own local language. Finally, consider adding language for countries that are similar to your target audience. You can speak directly to people by translating to languages such as German, French, Portuguese and Italian. It’s recommended you translate both your app’s user interfaces, and your App Store page, and its meta data (keywords, description, screenshots, etcetera). You can use affordable online services like Rev.com to have your app translated. And it’s a great idea to have those translations checked by a native speaker, to make sure they talk to a user in an appropriate way. You want to capture the “sound” and tone of voice in a translation, too. It sounds like counter-intuitive advice, right? Of course you’re building an app that people want! Why else would you build it? The best apps solve a problem. The best marketers try to make change happen on the behalf of others. They don’t shout for attention, but show up exactly where they’re needed and wanted. You could say that it’s best to build an app for the long run, instead of for short term gains. Create a product that’s built to last, one that’s created in such a way that it can continue to serve people by solving a problem. It’s not easy to do that, but it’s simple. Instead of scheming ways to game the system, you build an app business one person at a time, one purchase at a time, and one connection at a time. Once you’ve built something people want, and gained an audience, you can build more products and services for them. Build more apps for the same people. They trust you, follow you, and gladly pay you money for the good work you do. By building something that’s in their best interest, you’re creating an asset – trust – that ensures you get to do business with your customers for a long time to come. It’s a win for all of you. As it turns out, a shortcut is just that: a shortcut. You may get there quickly, but you won’t go far. Pfew! We’ve looked at a lot of app marketing campaigns. Which one resonates most with you? Get started with that! Before you go, one last piece of advice. Stick to it. Stay with your app marketing strategies, even if it looks like they’re not working. Much of what you try today won’t work, but if you keep trying and improving with every iteration, you will succeed eventually. Marketing takes time. Don’t just quit your ad campaign after 24 hours because no one installed your app. Don’t quit content marketing because no one visits your blog. Don’t abandon your app idea because no one downloads it. Shoot your arrow, and trust that your aim is true. Take a deep breath, grab a coffee, and try again.